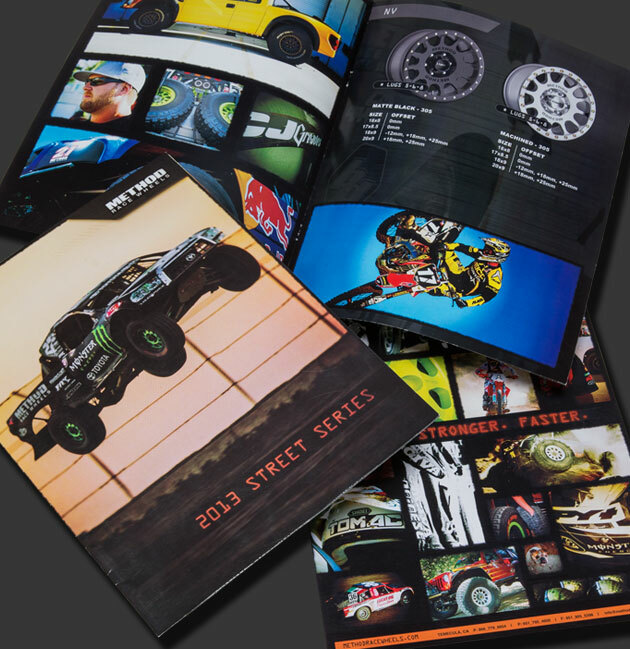 After creating a massively successful launch for Method Race Wheels, we created these stunning consumer catalogs and B2B Brand Books to expand the awareness of the brand, with both end users and retailers. We captured arresting photographic imagery in a series of produced shoots to highlight the remarkable capability of off-road drivers and vehicles. The goal remains to connect the Method brand to performance based off-road race culture.